Brazilian Direct offers a full line of raw lumber and exotic decking in Brazilian Walnut (Ipe). 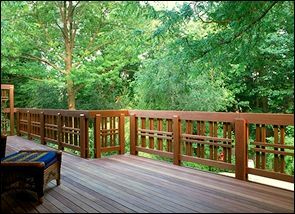 To learn more about Ipe decking, visit our sister website BrazilianDeck.com. If you need help with conversions, please try our Decking Calculator - Convert square feet to linear feet. These photos were sent to us from our satisfied customer. Like what you see above? Click the button below to obtain more information about this product.